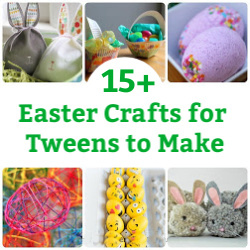 What to do when the tweens are bored? Pull out the I’m Bored jar of activities! Despite the fact that your kid is a tween (9-12 years old) the “I’m bored” mantra still persists. Honestly, they would totally play online or watch television all day long…but that’s no way to spend summer vacation. 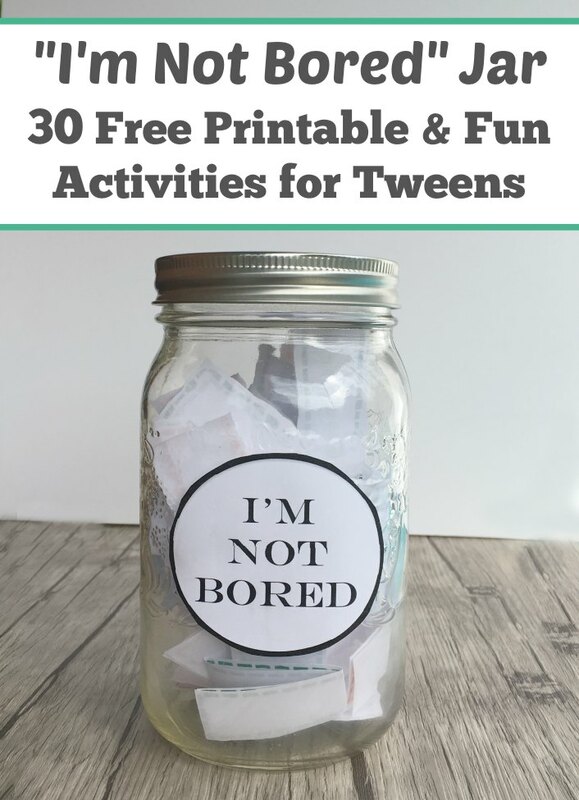 So, put down the devices and bring out the “I’m not bored” jar – filled with activities for tweens. I first created a family “I’m Not bored” jar way back in 2011. My kids were 5 and 7 years old and my blog was brand new. At the time, the nagging was too much for me to handle – I needed quick and simple activities to keep my kids entertained. 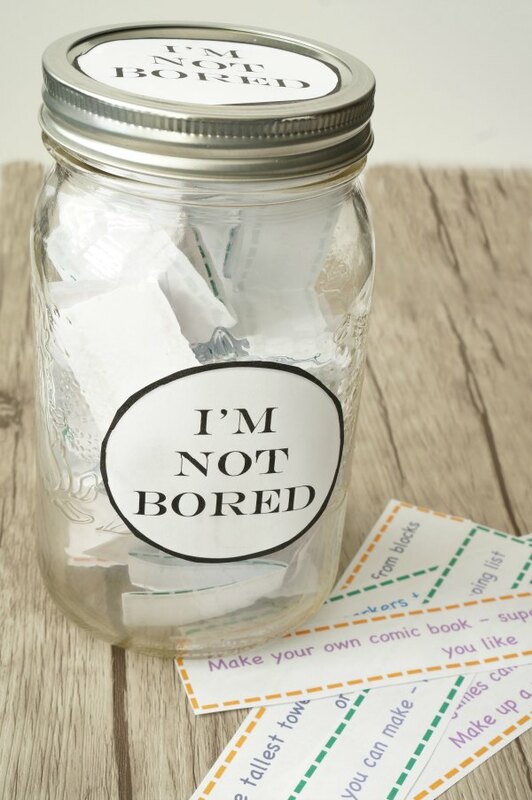 So I created an “I’m Not Bored Jar”, filled with crafts and activities to inspire my kids. This time around the activities inside the jar are a little more challenging and will totally engage your tween-aged kid. Grab a large mason jar. This will be the jar you use. If you don’t have a mason jar, use whatever lidded jar you have. 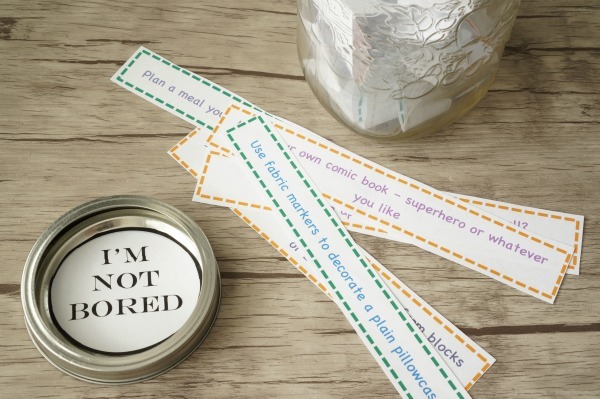 Print off the I’m Not Bored Jar activities and labels. Cut out and tape the label to the top and front of the jar. Cut the activities into individual strips. Fold them up and place them inside the jar. The activities range from simple household tasks, STEM activities, outdoor activities, art projects to creative activities. 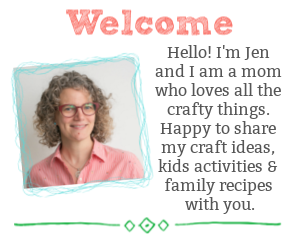 I love our jar of activities because they don’t require any special equipment (mostly) and don’t cost a lot of money to do. 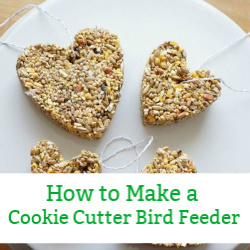 They occupy and inspire kids to get creative in ways that they might not have thought of. Place the jar in an easily accessible location – you want the kids to have easy access to the jar. keep the activity jar for those moments when the “I’m Bored” whine takes over. 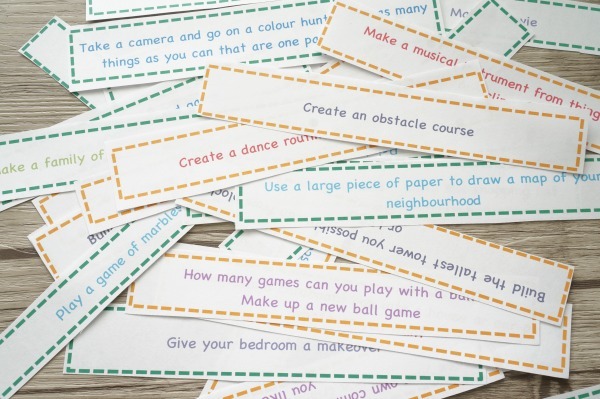 Simply hand the I’m Bored Jar over and let your kids pick out an engaging activity to try. 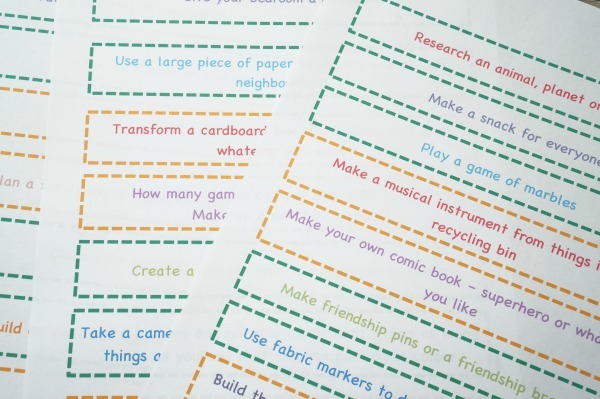 These are just a few of the activities you will find in the I’m Not Bored Jar free printable. Feel free to add your own ideas to the jar. Write up your ideas on additional strips of paper. You know what kind of activities you kids might like to try. 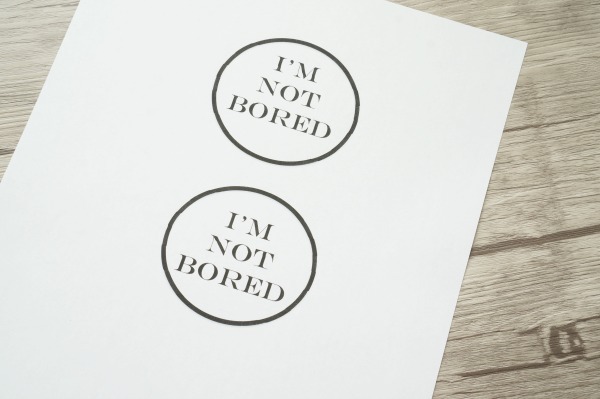 Are you ready for a summer without the dreaded “I’m bored” words being said? It can be done. What activities or projects would you add to the jar? Share your ideas in the comments below or shoot me an email [email protected] and I can add your ideas to the jar. 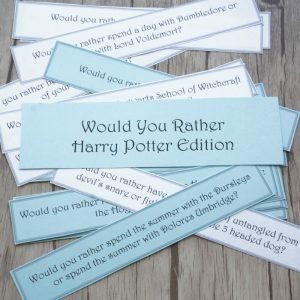 Would You Rather Harry Potter edition is fun for kids of all ages and parents too. How will your kids answer the questions? 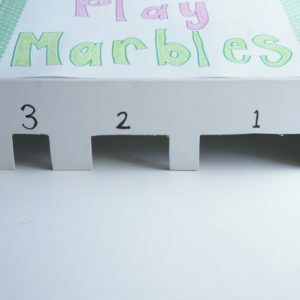 Bust out the marbles and play this classic game. This game will keep the kids entertained – they can create tournaments.